This is by far the most accurate way of determining your bracelet/bangle size. For a hassle free experience in identifying your bracelet/bangle size, please contact a reputable jeweller to request a bracelet/bangle sizer. Most will ship the bracelet/bangle sizer to you when they receive a request. 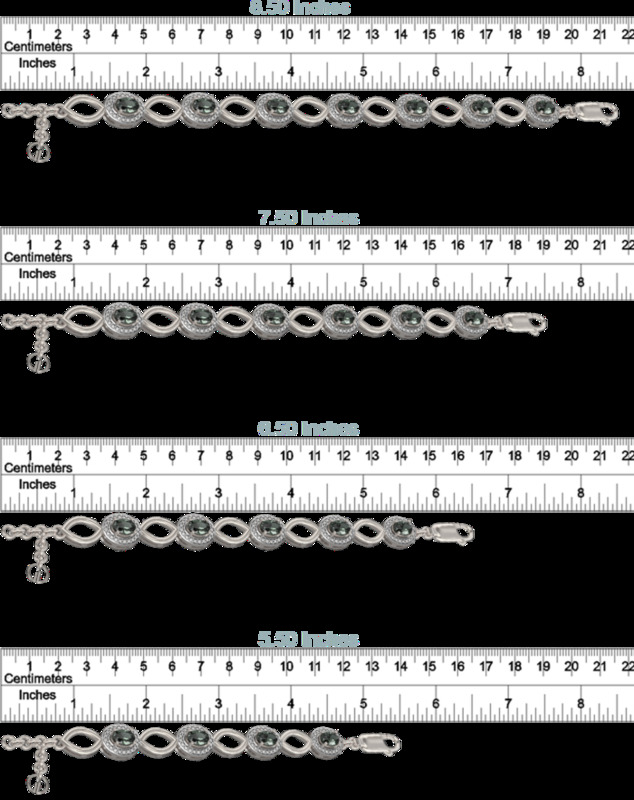 Here is a chart that will help you determine your size of bracelet. 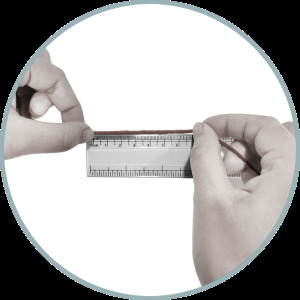 To measure your hand, you will need a strip of paper/tape/string and a ruler. Step 1. 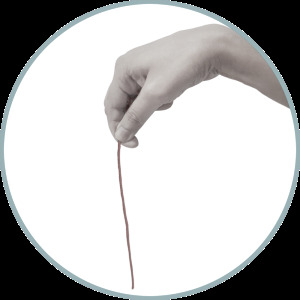 Cut a piece of string long enough to comfortably measure your hand. Step 2. Use the string to measure your wrist, make sure you tighten the meeting portion of both ends of the string to a fit most convenient for you. Step 3. Use a ruler to measure the length of the string. Now select the size from the options given below. If your tennis bracelet size is in between the options shown below, select the one that is closest to yours. See the illustration below for reference (do not use the illustration for comparison). Here is a chart that will help you determine your size of bangle. To measure your hand, you will need a strip of paper/tape/string and a ruler. Step 2. 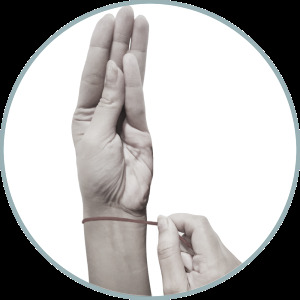 Touch your thumb to your little finger and measure the widest portion of your hand with the string and mark the meeting point. Check your measurement with the chart below to determine your bangle size.